Home / VR: Will It Lead To Better Creatives Or Is It Just A Tech Boon? 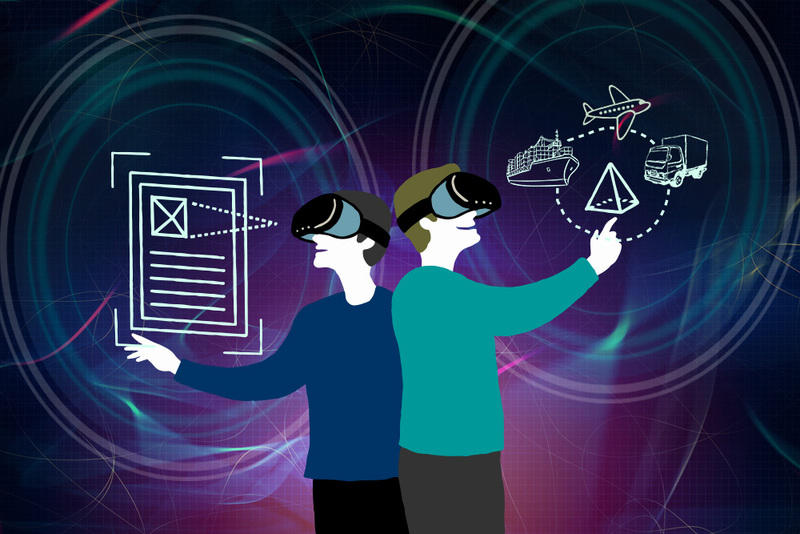 Virtual reality and its other formats such as the Oculus Rift and augmented reality— have created so much buzz in the creative solutions services and offshore web development industries in the past few years. The most popular use of virtual reality (VR) these days, however, is to show off our VR goggles to our techy friends and brag on how cool it is. But by doing this, we reduce the potential of VR for marketing and creatives to that of mere novelty. While utilizing VR in our everyday lives has not yet reached the level we see in sci-fi movies, I’d encourage fellow advertising and creative colleagues to look at the potential of VR for its strengths as a tool to enhance how we do our jobs. VR technology may seem young at the moment but we can use its immense capabilities in improving how we create 2D content. We also think that having fellow artists use VR may help in creating content that is more engaging and more visibly enticing. To tell you the truth, embracing something new may lead to results we have not seen before. Have we seen anything that hasn’t been seen before with the old tools commonly used? It seems that the “wow factor” has already worn out. While the tools and processes currently in place may still be delivering results, we cannot ultimately conclude that they are delivering the best. At present, we have to cope with the tools and utilize them, and continue to improve the workflow that we are still following. But, if we look a little deeper into the technology that’s ushering us to the future, VR brings in new territory to explore. Because of this, we can delve into the still unknown fields of user experience which may lead to better forms of engagement that are still unheard of. To make sure that things are going on as expected, measuring user engagement in VR may require a new set of analytics. Aside from that, there are several plus points that we can view in VR if we are going to use it as a tool to gauge user experience. When people are placed in the virtual world, they experience products in a setting that is separated from another individual’s suggestions or prompts. Since the person in VR is locked in to the experience being shown to him, they are given free reigns to explore what is being presented or sold to him. Recent breakthroughs in eye tracking technology also make it easy to see where the person is looking in the virtual world and be able to analyse what is visually appealing to them. The result of these tests can be given to artists who will now be able to create designs based on what caught the fancy of those who were placed in the VR setting. It is still not proper to say that current methods do not help us in getting the results that we want. But, having new technology to further measure what consumers want will lead to results that are not possible with old processes. This pronouncement is not actually ground-breaking. It is a fact that we all know that uninspired marketing campaigns and designs drain company resources by not being able to achieve the end results. The goal of all brands is to provide value and satisfaction to its customers while also dishing out something fresh that sets them apart from the competition. Though marketing and creative teams can do unconventional ways of getting engagement, they need to measure and find out what people really want by utilizing new technology such as VR. In fact it wouldn’t hurt if marketing, creative and ad agencies take this big leap towards an elevated form of user experience. Remember, at the end of the day, those who offer something new and exciting for the target market wins.